Hammers are used to drill into concrete or brickwork, whereas demolition hammers & breakers are used for demolition purposes only. 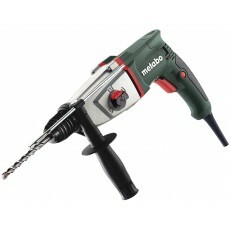 Scrapers are a specialist tool for removing tiles and plaster. Hammers combine a pulsing pressure action, or "hammer blow", with the rotating of a bit to break through denser materials. The SDS system was originally invented in 1975 by Bosch and translates as "insert, twist, fits". The slots on SDS bits enable the back-and-forth hammer blow action whilst still rotating. The drill bit is locked but at the same time can rotate. This system transfers the energy that the hammer builds up internally through to the tip of the drill bit without damaging the chuck. 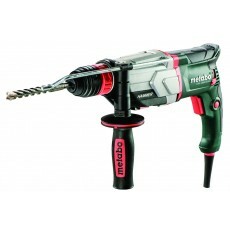 Demolition hammers are designed to demolish concrete & brickwork, not drill into it and so do not rotate. 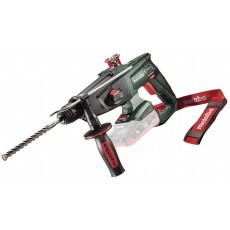 They are lighter to enable horizontal work (see breakers for more powerful upright work or hammers for drilling). Breakers, are designed to demolish the material, they are more powerful than demolition hammers and tend to be used upright. 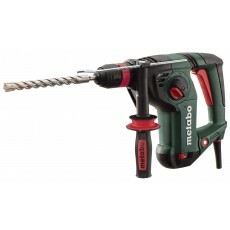 Scrapers use a chisel action for fine chipping works, including tearing up tiles, joints and mortar. Please choose from the types of hammers & breakers on the left & then we'll help you better match your needs. If you have a brand preference or know the power source you need, please select that too.